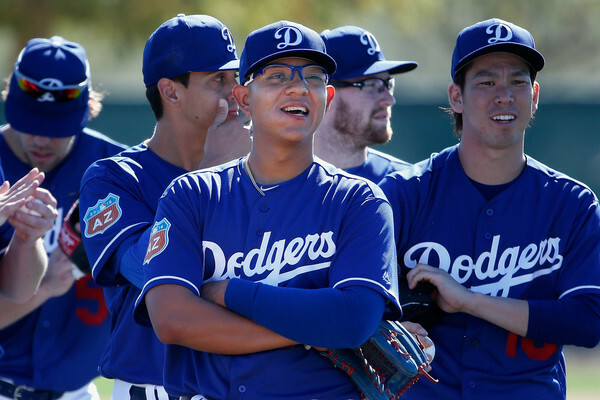 Dodgers’ second round of cuts claims Julio Urias, Jose De Leon. The Dodgers made their second round of roster cuts after a 5-1 loss to the Kansas City Royals on Thursday. 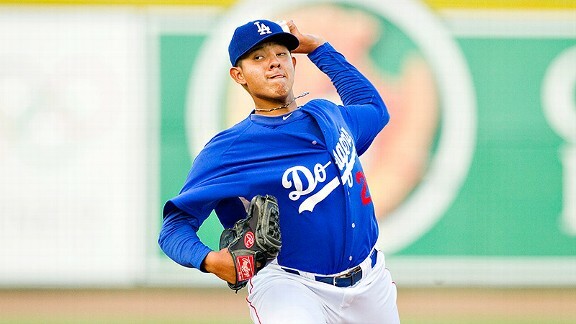 Top pitching prospects Julio Urias and Jose De Leon were the top names sent out; both were re-assigned to the Dodgers’ minor league camp. So was catcher Jack Murphy. Infielder Micah Johnson and pitchers Ian Thomas, Ross Stripling and Yaisel Sierra were all re-assigned to the Dodgers’ minor league camp. Dodgers trade Darwin Barney to Blue Jays for Jack Murphy. PHOENIX — The Dodgers traded minor league infielder Darwin Barney to the Toronto Blue Jays on Sunday for a player to be named later. A couple hours later, they named him after a famous sports writer. Jack Murphy is a 27-year-old catcher who has 14 games of experience in Triple-A and 122 games of experience in the Australian Baseball League. Murphy stands 6-foot-4, was born in Florida, educated at Princeton and has a mustache. Since the Dodgers’ Double-A and Triple-A affiliates are done playing this year, Murphy seems unlikely to get into a game before the season ends. 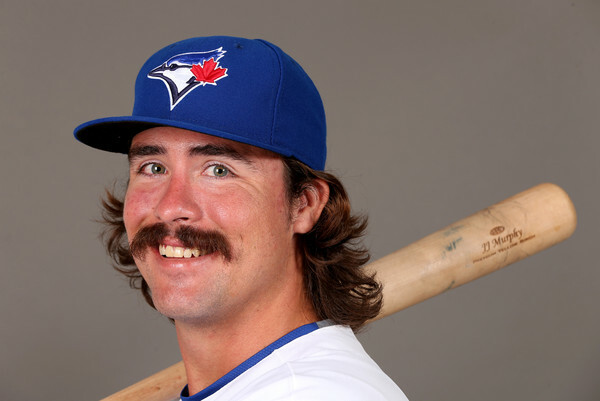 He slashed .220/.309/.315 for the Blue Jays’ Double-A affiliate in 2015.